Owned and operated by a local Tico family that lived in U.S. for 29 years, is situated at the entrance to the Monteverde área, only 300 meters from the small town of Santa Elena, the commercial center of Monteverde, as you drive in from the Pan-American Highway. Here you will find unique, breathtaking views of the local waterfalls right out back. The Tilarán mountain range where both the Santa Elena and Monteverde Cloud Forest reserves are located, the Ecological Sanctuary, the San Luis Valley and the spectacular Gulf of Nicoya, are all visible from one location. 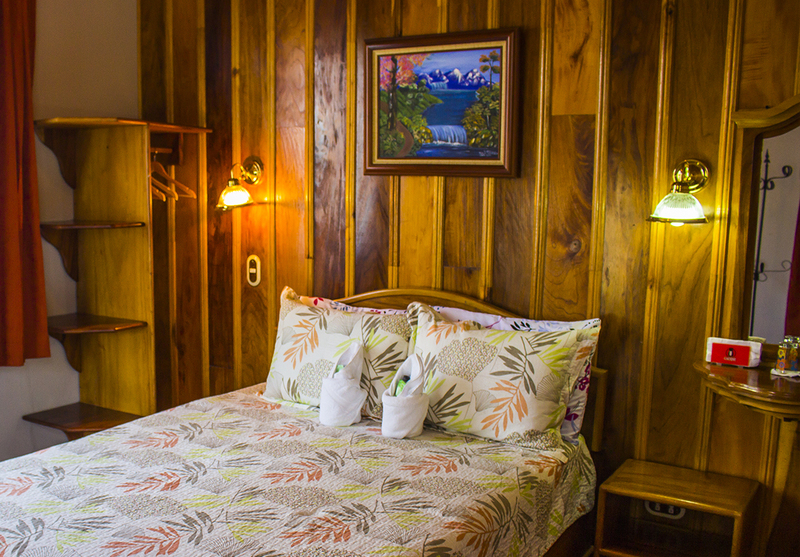 All rooms equipped with large windows to enjoy the beautiful scenery of Monteverde and the surrounding areas. Bathrooms are decorated with genuine Spanish ceramics, wood accents and modern, high efficiency hardware. Beds are outfitted with therapeutic mattresses, and hypo-allergenic sheets and comforters. Breakfast is prepared and served right befored your eyes. Come and visit us while on vacation and feel like being in the comfort of your own home.